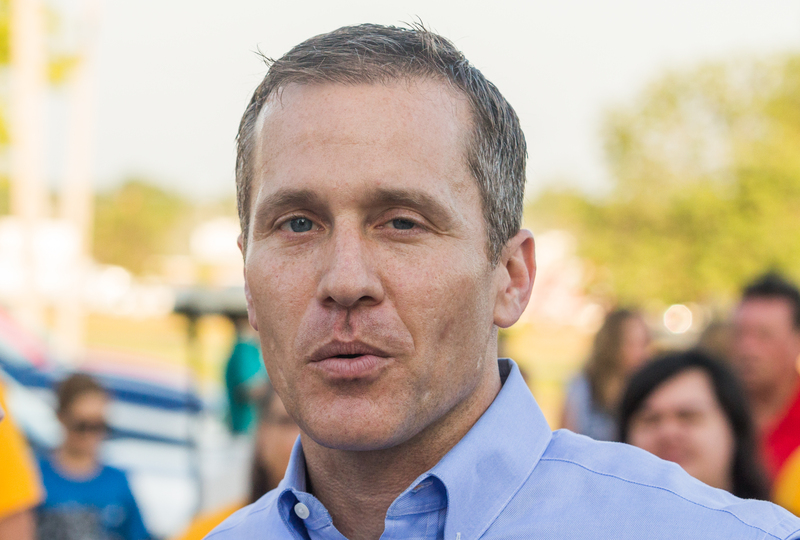 Former Governor Eric Greitens (r) [2016 file photo]. 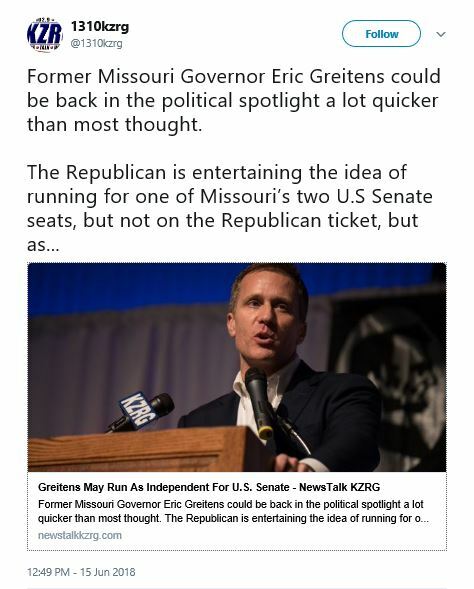 Former Missouri Governor Eric Greitens could be back in the political spotlight a lot quicker than most thought. …an independent. He’s that arrogant. Please, [insert name of deity of your choice], make it so. If he asks nicely I bet Claire McCaskill (D) will pay his filing fee. I will sign the petition.